It’s the end of an era. For real this time. Allegedly. Best-selling Harry Potter author J.K. Rowling has announced Harry Potter’s story is done, after the release of the latest Potter installment Harry Potter and the Cursed Child. Cursed Child, the script, was released just yesterday, but was already breaking records before that, according to Entertainment Weekly. Both Amazon and Barnes and Noble announced the book topped their bestsellers list, making it likely to be the bestselling book of 2016 and easily the most pre-ordered book since Harry Potter and the Deathly Hallows in 2007. So is it really the end of Harry Potter? Doubtful, I’d say. J.K. Rowling has told us she was done with Harry Potter after the last book was released in 2007, and then she went on to create the web site Pottermore, and soon after that came a play, its manuscript and another movie based on a spinoff Fantastic Beasts and Where to Find Them, due to be released in theaters November 18, 2016. J.K. Rowling not only created Harry Potter, but she also created an entire fantastical world for children, and the amount of stories that can come from that world are unlimited. Clearly, I wasn’t kidding when I — just last week! — blogged that J.K. Rowling amazingly continues to find ways to churn out Harry Potter books. That amazingness will continue this summer when she releases a new eighth installment of the series, Harry Potter and the Cursed Child (!!!). According to CNN, the book is actually a two-part play that picks up where the last novel in the series left off — with Harry now a father to son, Albus. The play is set to debut in London this summer, and the script book of the play will be released the next day, at midnight on July 31st. It’s the first official Potter story to be performed on stage. The original story comes from Rowling, Jack Thorne and John Tiffany. This is a special rehearsal edition. A finalized version will be released later, in case the writers make any changes to the play that would then need to be reflected in the book. J.K. Rowling, everyone — the Harry Potter gift that keeps on giving! When Harry Potter author J.K. Rowling ended her acclaimed children’s book series about the most famous wizard of all time, fans worried that would be the last we’d hear from the bestselling author. But time and time again, she’s proved us wrong. First, she created Pottermore, a web site with games, stories, and details about the universe of Harry Potter. Then she wrote an adult novel, The Casual Vacancy. She penned a Harry Potter spin-off story collection called “The Tales of Beedle the Bard.” Then came two adult crime detective novels under the pseudonym Robert Galbraith. And now there’s more. Earlier this month, Rowling released on her Pottermore web site a new Harry Potter story, the first she’s written and released since the seventh and final Potter novel was released in 2007. According to Huffington Post, the online story describes Harry Potter and his friends in their 30s. It details what they’re up to now, how they look, and how they’re faring. It’s written in the form of a gossip column, penned by Rita Skeeter, a well-known character from the novels. 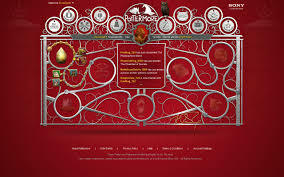 The story was such a huge deal for Potter fans that it crashed the Pottermore web site. It’s also led to speculation that J.K. Rowling would write another Potter novel. But so far, that’s just speculation. Rowling is apparently already halfway through the third novel in the series and has ideas for the fourth. Could this be her new legacy? Will Potter fans ever get more than the latest 1,500-word story about it? So you think you know everything there is to know about Harry Potter, huh? Well, probably not — unless you’ve already read through the new additions to author J.K. Rowling’s Pottermore web site. Just last week, Pottermore was updated with information about the history of Quidditch, the beloved wizard and witch game, played on broomsticks. According to Entertainment Weekly, Harry Potter author J.K. Rowling wrote a 2,400-word essay on Harry Potter-centric web site entitled History of the Quidditch World Cup. The story was posted in two parts, one detailing the history of the tournament, how the tournament is played, and information about controversial tournaments. The second part deals with recaps of some of the recent tournaments played within the last 20 years. So, who’s read the story? What do you think of it? Always cool to have additional background, right? Remember that time when J.K. Rowling made it clear that e-book versions of the Harry Potter series would only be available via her web site, Pottermore? Well that has now changed. 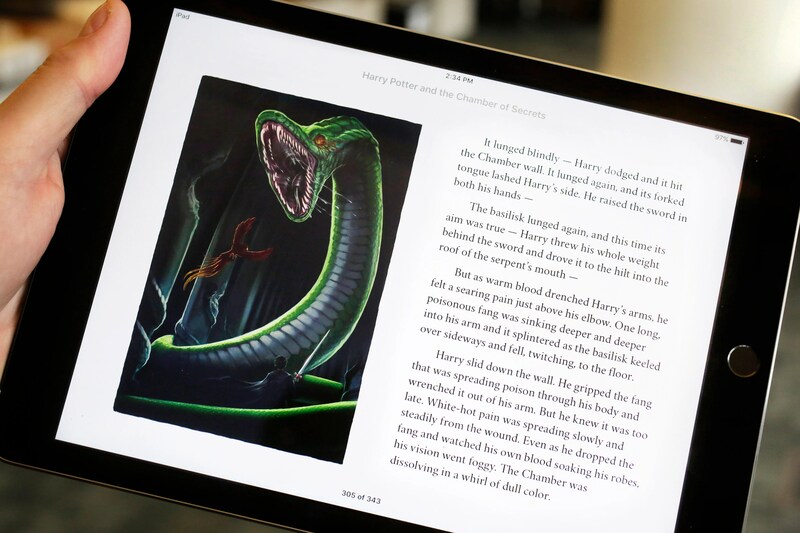 According to the L.A. Times, Amazon has purchased a license from Pottermore, and will now offer Harry Potter e-books through its Kindle lending library. To access the lending library, Kindle users must be members of Amazon Prime, which costs $79 a year. The Pottermore CEO Charlie Redmayne explains why the deal was made. Yes, some people will borrow from the Kindle Owners’ Lending Library and therefore not buy, but Amazon is paying us a large amount of money for that right, and I believe it’s a commercial deal that makes sense. It most certainly does make sense, but I’m still surprised Rowling gave up a piece of her monopoly over the series. The e-books will become available via the library on June 19th.